Move as a brachiator does. ZOOLOGY. An ape which moves by using the arms to swing from branch to branch. Who doesn't remember spending endless hours on the monkey bars at school? Well I don't for one. Swinging from anything - and certainly brachiating - was always far beyond my physical ability (as was climbing up a rope). In fact, I am spectacularly bad at climbing, so I can only look on in bemused awe at the likes of free runners, Jackie Chan and, of course, brachiating apes. When it comes to brachiation, however, even the best of humans pale into embarrassed silence when compared to the King of the Swingers - the gibbon. The gibbon is anatomically perfect for arboreal locomotion - its wrists are ball and socket joints, enjoying a huge range of motion and allowing dramatic changes of direction; even its shoulder joints have a much greater range than that of humans and most other apes. Brachiating through the tree tops, it can reach speeds up to 35mph (56kph) and jump gaps of 50 feet (15 metres). While the beauty and grace of its locomotion is beyond question, its arboreal lifestyle is not without risks, and the average wild gibbon can expect several fractures over the course of its 25 year lifespan. 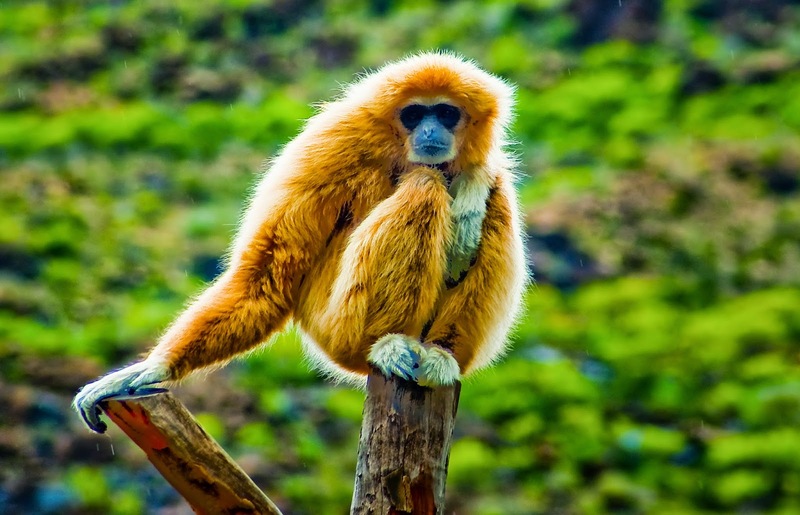 Sadly, the risks posed to the gibbon by brachiation are nothing compared to those it faces through loss of habitat and poaching, with virtually every species of gibbon being critically endangered. 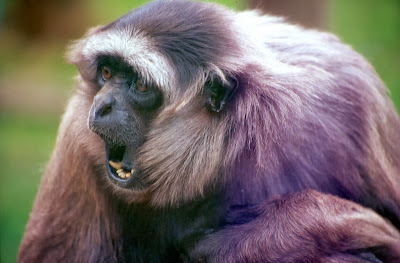 Oh, and one last snippet of trivia regarding the world's greatest brachiator: while it may be tempting to make crude jokes about swinging and swingers and so forth, the gibbon is (very unusually) a completely monogamous ape. Therefore, save your bawdy jokes for the Trollop of the Trees - the positively immoral bonobo. Have you ever seen a gibbon (or any other brachiating ape) doin' its thang? Were you planning on making a swinging joke at the end of this post? Make like a tree and leave a comment below. My inability to brachiate was a great source of social embarrassment until I had the good fortune to injure my shoulder and thereby ensure I would always have an excellent excuse for non-participation in brachiation. It's quite clever how my shoulder suddenly becomes painful whenever there is even the smallest hint that I might be asked to brachiate in public. Maybe a backwards brachiating gibbon is like their version of a superhero. I think a male gibbon is a boy. I need to consult an expert. 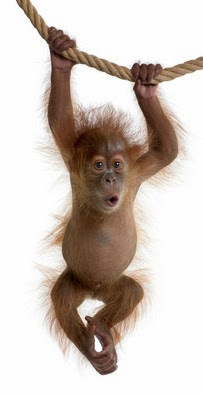 I can't brachiate but I tend to walk around a lot with my arms in the air like I just don't care exactly like that gibbon does. The similarity is quite uncanny. And before tree climbing I'm known to "power up". And I'm also completely monogamous. This is getting weirder and weirder. I think the reason they're monogamous is they understand any successful relationship is based on gibbon take.